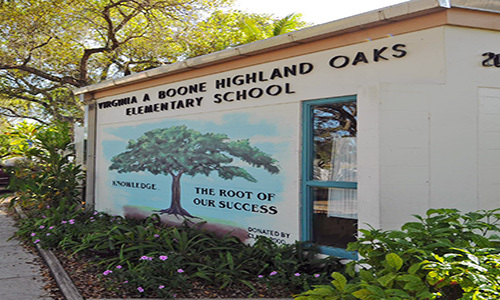 Welcome to Virginia A. Boone Highland Oaks Elementary School! As the history of the oak trees that shade the school continually grow, so does the history of the school. Our school has a unique charm as a nurturing learning environment with administrators, staff, parents and community working closely together to provide students with an education of excellence. Please join us in a virtual tour of our school and share in the excitement and challenge of learning that fills the buildings and beautiful surroundings.